This tutorial is a 400 page Perl 6 tutorial condensed down into 1 video. Perl 6 is a get it done fast utility language. I’d say it is the most popular utility language. 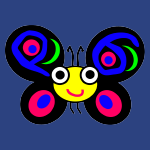 The newest version ads a ton of tools to the original Perl. I cover Data Types, Conditionals, Strings, Interpolation, Looping, Arrays, Sequences, Maps, Hashes, Subroutines, Recursion, Exceptions, File IO, Shell, Classes, Inheritance, Roles, Regular Expressions, Grammars and more. # You can use variables in output with ""
# Create a private attribute with $! # and maybe a .